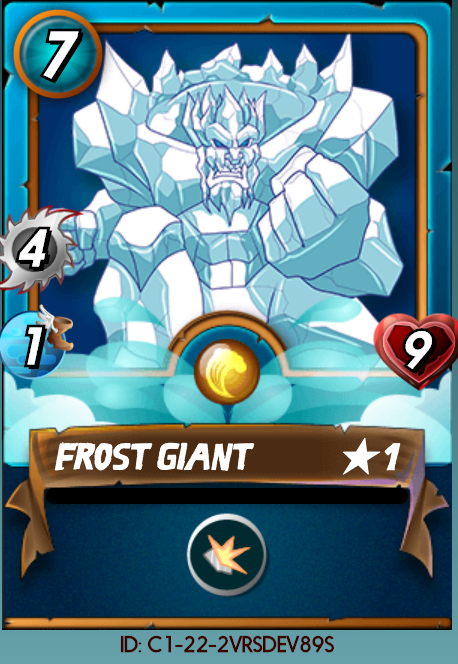 Comment 2 Win, Giveaway Week 6, Legendary Frost Giant! 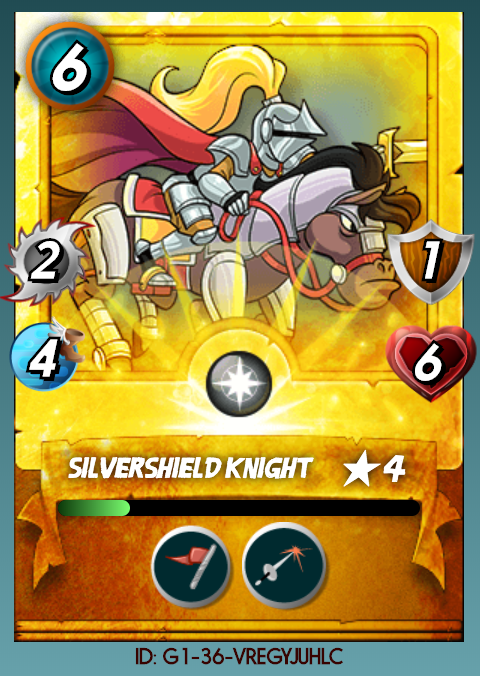 No extra action is required at this time to win the featured card, a second commenter will be chosen to win this card. But everyone should show @clove71 some love. You can also find her on youtube Here She makes lots of Steem Monsters content so make sure you check her out! Contact me on YouTube or Discord if you would like to donate to the giveaway and become a featured guest. I've got a frost giant that I can delegate to you if you wanna test it out. You are always so quick! I delegated out some of my steem so my vote only worth 4 cents. But you sir may have it! That's cool. It always pops up when I'm already browsing Steemit via @partiko. Plus at times a notifications helps. Upvotet, resteemed and now commented. @Demolitionpickle thanks for the tag. This one of the best giveaways this week. Could use those cards. Yeah. I explain why in my my giveaway video for last weeks card. I hope to be able to continue to give away really good cards. Wow! Nice one! Hey @xawi join this. I'm in and tagging @pedrocanella. @ryangreen and thank you for the giveaway. Awesome I don’t have this card yet. What a brilliant idea this is! And a good place to meet other steemmonsters player who are active at steemit as well. Kudos! Thanks. I am hoping that other people copy my Idea too. I created a giveaway train to try and cultivate a place for many giveaways to come together. I would like to see less of the Steem Monsters upvote go towards posts about people’s daily rewards and more of those upvotes going towards buying cards off of the market to drive adoption. I'll tag my son's account @anjadani , even if I may be a little slow on your idea. Have been some busy 5 days with me and steem. Catched the train and there I went. ;) Now I remember where I've seen your decent business model. I'm definitely interested in duplication. Any hooks? Just looking to get more people on the giveaway train. 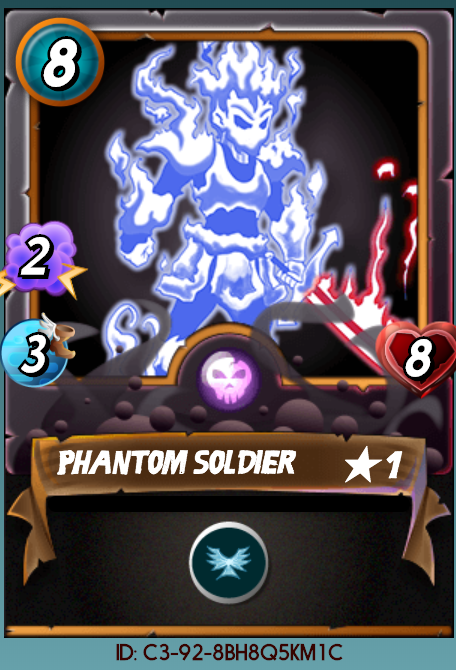 Even if it means giving away some cards to get people started. You seemed to like the idea so I offered to give you a card to get started. 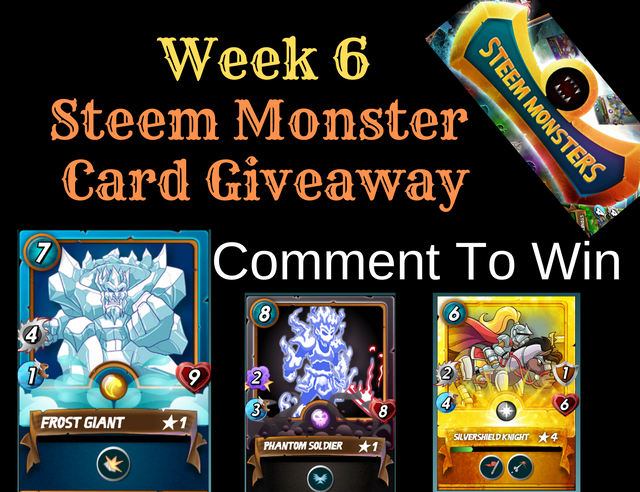 The deal is to use at least 2 of your steem monsters upvotes every week to fund buying cards from the market to give away. You will end up getting organic upvotes on top of that. But just those 2 alone will be enough. And you do get to keep any sp that gets paid so it does help offset the loss from the 2 votes that you would have otherwise been able to use towards another post. I think if I can get a lot of people doing this that we can drastically increase liquidity on the SM market not to mention drive up the market-cap. I'm calling @mango-juice to come for this! 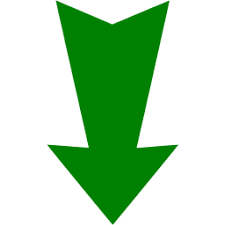 You just got a 7.17% upvote from SteemPlus!